In full colour and straightforward, jargon-free language, iPhone for Seniors in easy steps, 3rd edition, gives you all the information you need to get up and running with your new iPhone and quickly feel you are in control of it. An in-depth chapter on iCloud, Apple's online storage, sharing and backup service, explains how iCloud works and shows how it can automatically store your data and share your photos so you don’t have to worry about losing information should anything happen to your iPhone. This 3rd edition of this popular title is updated to cover the latest operating system, iOS 10, and its array of new features. It is illustrated using the iPhone 7, but is suitable for all iPhones with iOS 10. It is written in larger type, for easier reading, and with the Senior reader in mind. 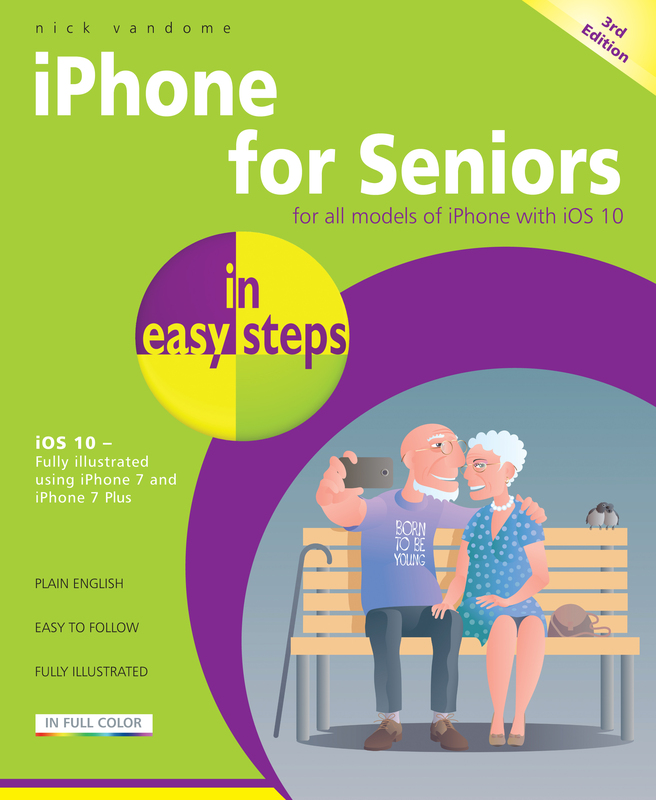 iPhone for Seniors in easy steps, 3rd edition takes the mystery out of using your iPhone and shows how it can become your most useful digital companion, ready to help keep you in touch, up-to-date and entertained. A realistic guide to getting and staying healthy and fit – a great alternative to a personal trainer! be rewarded with a range of virtual prizes for extra motivation and fun. iPhone & Apple Watch for Health & Fitness in easy steps shows how to best utilize your iPhone, and Apple Watch if you have one, so that health and fitness becomes something to look forward to rather than a necessary chore. The book explains the built-in Health App on the iPhone, including the categories for which health data can be recorded, including fitness, nutrition, sleep analysis and health monitoring such as blood pressure and heart rate. Recording and entering data is covered for each category, showing how you can build up an overall map of health and fitness, which can then be viewed on the app's Dashboard. Since walking and running are two of the easiest and most popular forms of exercise, there is a chapter dedicated to this. It shows how to using running apps and pedometer apps to monitor walking and running, display distances and calories used and also find and map routes and sharing your exercise data with other people. The book details the areas in which the iPhone and Apple Watch can be used for health and fitness and also shows how they interact with each other to share and display health and fitness information that you have recorded. There is also a comprehensive chapter on the Apple Watch so that you can use all of its features to their maximum potential. Both are covered in depth in the book. Both of these apps can be used to monitor activity and exercise, set targets and view daily activity and workout information on your iPhone. 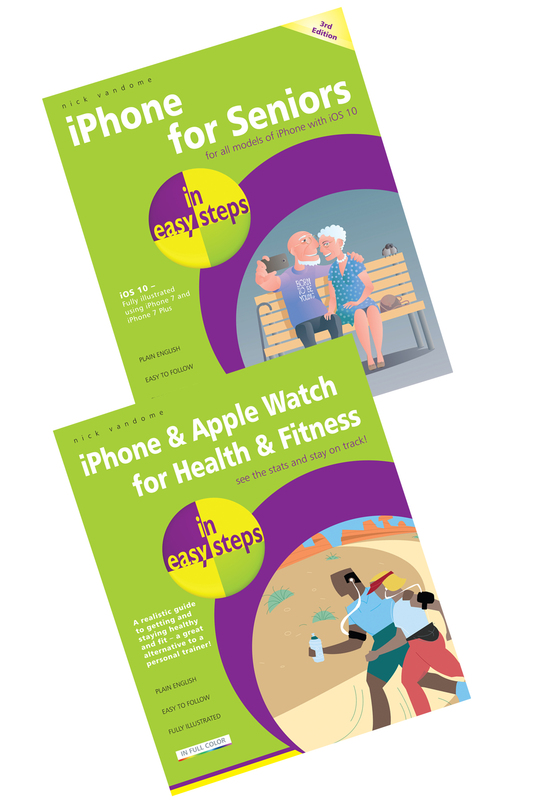 They are a great way to stay motivated about your health goals and iPhone & Apple Watch for Health & Fitness in easy steps shows how they can help to elevate you to greater heights in your health and fitness endeavours. In addition to the built-in apps, the App Store also has a Health & Fitness category that can be used to find apps for both the iPhone and Apple Watch. These include apps for running, fitness classes, workouts, nutrition and healthy habits. These apps are tailored specifically for the iPhone or the Apple Watch and some of them can be downloaded in bundled collections. In general, they help to take your health and fitness activities to a new level in addition to the built-in ones. 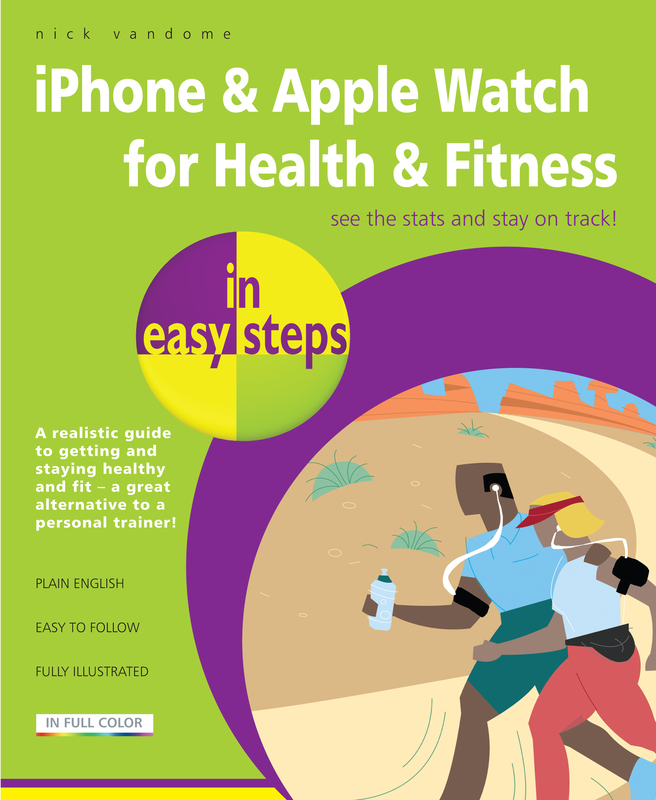 iPhone & Apple Watch for Health & Fitness in easy steps is the essential, full-colour guide to helping people achieve realistic and long-term health and fitness goals, using the iPhone and Apple Watch, and ensuring that it is fun and gratifying at the same time.